Most multi-channel networks are now focused on becoming multi-platform networks. Multi-Platform Content Video Distribution across multiple platforms, not just YouTube. These mobile-focused new media companies initially birthed and aggregated their videos as channels on YouTube only. The new MPN game for most is to now initially build mass audiences on YouTube, but then take those audiences and monetise them off YouTube. That’s why these MPNs seek the widest spray of their video programming across the widest array of distribution platforms. Video creators with community across platforms are also a great fit for brands engaging in multi-channel marketing. Multi-platform offers a rapidly growing opportunity to align with brands on multi-channel marketing campaigns which deliver greater impact and bring larger revenue than single platform ad revenue. Brands have long understood that a diversity of marketing mix translates to a broader reach and deeper relationship with consumers. The intimate and personal relationship short-form video creators have with their audience across platforms drives deeper affinity than merely the top-of-mind recall created by interstitial advertising on TV. That’s why there has recently been an explosion of brand integrations with video creators. Even YouTube recently clarified its policies on brand integrations because of the magnitude of influence programs and network campaigns happening with video creators. YouTubers already have multi-platform presence. Brands love multi-platform campaigns. With the two parties aligned we’re going to the number of multi-channel marketing campaigns growing– a trend likely to rival the growth of native advertising in other formats. Get ready because the multi-platform and multi-revenue video future is coming. Multi-platform mastery requires a unique blend of creative content, planning, and real-time iteration and engagement with fans. It means that for every video created, there are multiple edits for preview clips, one-liners, out-takes, stills and even GIFs and memes. The titles are the main leads to roll out the video content on multiple platforms, and that should be easily searched and familiar to the audiences. The titles will attain the attention of the viewers to watch the video content. The added tags are the source to direct the viewers to your video content as they are allocated by categorization. That can be used to display your content in the search results. Finally, the description should describe what the video is about. The most significant thing to do is assigning the call-to-action that can be used which let the audiences to do the particular task of reaching your official site through all the multiple platforms where the video content is uploaded. The behavior of all the audiences from all the platforms is not in the same way. The online video consumption by teens is more than others. The advertisers and publishers can push the video content according to the age, locations, and device on which the audience engagement is more for example mobile is the most interesting device. It will help to build the brand promotions efficiently. Creation of the video content should be done by predicting the viewer expectations but not the platform. That means making researching on the consumer behavior while surfing the type of video content, time and device on which the users are consuming more. It could be the best tactic for advertisers and publishers to gain the continuous engagement. The optimization of KPIs will be used to enhance the business metrics. Updated KPIs will be used to hit the target of the business brands while relying on the multi-platforms. The outcome of the business brand can be found through the use of KPI. The advertisers and marketers should follow a basic tip that boosts up the branding strategies are using native video that means which has been created by one’s own. Merging the third party embed video links might not give the efficient results. The reach of audiences through native video uploading on social media platforms will show more impact than embed video content. Live Streaming is the most seeking category that keeps the continuous engagement of the audiences. The Live Streaming of Events, demonstration of products and interviews can be held on social media platforms like Twitter, Facebook, and YouTube, etc. The tools that are used for multi-platform distribution will help the advertisers and marketers to sketch the analytics of the performance of the video with accurate results. The integration of consistent content distribution on multiple platforms is possible. It is the cost-effective approach to reach the targeted audiences with long-lasting branding promotions. It enables the brands to have the continuous engagement of the audiences in an interactive way. The cookies that are assigned in the website will be used to retarget the customers. The multi-platform video content distribution will generate huge sales of products or services. The multi-platform strategy will produce more audiences than the single platform intended. The advertisers and marketers can observe the improved ROI through this approach. Implementing the Facebook auto play videos ads without sound, Create the first frame of video Cathy and make use of subtitles. Researchers reported that use of subtitles boost the completion rates, but it does not have meaningful effects on views on Facebook. 4% increase in completion rate and with no loss on view. Facebook generates a large number of views quickly if you use for video campaigns, so consider the sequencing video trailers before launching the long-form video on the Facebook NewsFeed. Trailers are trending on Facebook in the modern world; trailers view rate increase to 57% when compared to the long form videos content on Facebook. Nowadays days facebook ads are the best choice for video content distribution. The two best options for Facebook video campaigns are one is posting the ads for free on your brand profile, and another one is buying the ad and post your videos on ads. If you buy the commercial, there is an option to choose specific audience that will see it. Here creator personalities such as Fans and Subscribers are critical to driving the repeat viewers. Make sure to utilize the Influencer in content distribution and video ad campaigns to get large fan base image. YouTube is evergreen video campaign option for everyone so, implement the new trends in video content marketing. Use specific keywords, a proper description of your content for multi-platform distribution. You can share the videos on Twitter for free similarly like Facebook video sharing. But if you buy the video ads or are you creating the video ads you have an option to choose the specific audience to watch it. Instagram and Snapchat might not be the best options for video content distribution. But you can share your general video content through multi-platforms. On Instagram, the video limit is up to 60 sec it might not be useful for video ads. Snapchat has an option for paid video ads to promote their long-form videos. LinkedIn itself is the best for multiplatform content distribution. Recently LinkedIn launched the new feature like LinkedIn Native video can upload the videos up to 10 minutes on the News Feed. We can’t analyze if it is best for video ad campaigns, but we can surely realize if you have a large community. Pinterest has an option to pin your video on Pinterest board to allow people to watch. Another option is select the screenshot from your video pin the image and adds video link below the pin people naturally go through your Pin. There is two reason the digital native spend their time on multi-platform campaigns, and one is their attention spans towards a single platform are low, and another reason is their lives surrounded by the different of digital platforms. Here are the two recent marketing campaigns approached with Multi-Platform Content Video Distribution. The US Armed Force introduced a brilliant campaign to reach the highly categorized group of people. This own campaign Award for best Multi-platform Campaign in 2015.It is the fascinating example of how to target the highly specialized group of people using Multi-Platform Content Video Distribution. This project hasn’t taken paid media support just attracted the thousands of people who are started creating their online communities. In 2016, the Channel 4 deployed an effective multi-platform marketing campaign to announce the season two premiers of Sci-Fi Show Humans. In this video, we can see some humanoid robots purchased form the Persona Synthetics. The best thing about this multi-platform campaigns was grabbing attention interaction detail in story construction. The website even including PDF printable return labels for returning the Synthetics. Multi-Platform Content Video Distribution is trending in the digital world among digital natives. 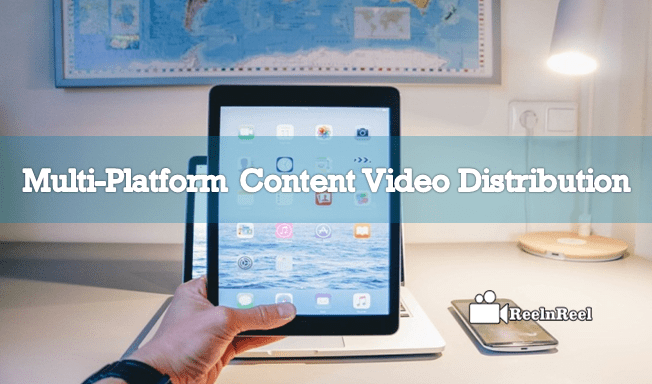 These are the best startagies, benefits, Platforms and best campaigns for Multi-Platform Content Video Distribution.